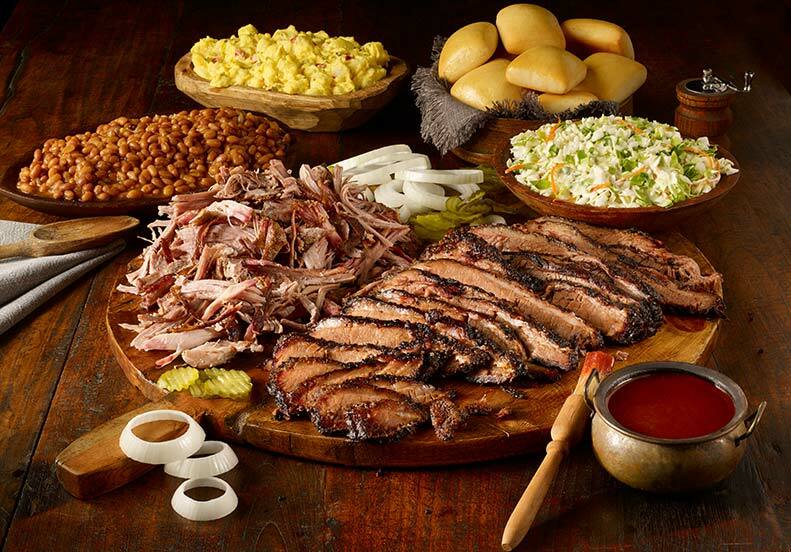 Dickey’s Barbecue Pit serves Texas Style Barbecue and slow smokes all meats on-site just the same way they have since 1941. The menu features beef brisket, pulled pork, St. Louis style ribs, polish sausage, spicy cheddar sausage, smoked turkey, and marinated chicken, with an extensive array of homestyle sides from jalapeño beans to macaroni and cheese. Buttery rolls are served with every meal along with complementary ice cream. And just like always, kids eat free on Sunday. slow smoked in the pit.